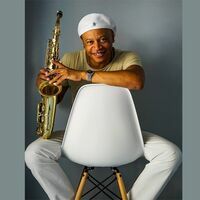 Native from Havana, Ruben Paz offers through his music all his Afro-Cuban heritage with Jazz and World-Music influences, a mixture that he has absorbed throughout his artistic career. Accompanied by his saxophone, his specialty, and his transverse flute, he has conquered the scene of Marseille, his adoption port since 1998. During his career he developed his talents as an author-composer-arranger, through compositions and many collaborations. At the head of his group “Cheverefusion”, he wants to make dance his audience of “Salseros”, but stands out by experimenting constantly new projects.